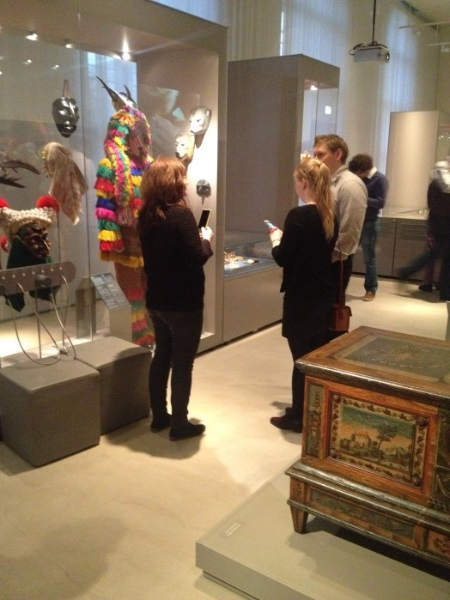 The Blinkster app offers additional information about selected objects in the permanent exhibition of the Museum of European Cultures (MEK) and the Ethnological Museum (EM), content providers of SPK. 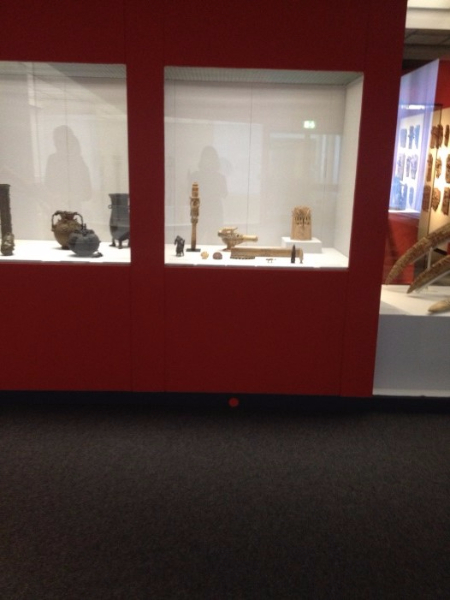 For now, not all exhibition objects are part of the app. 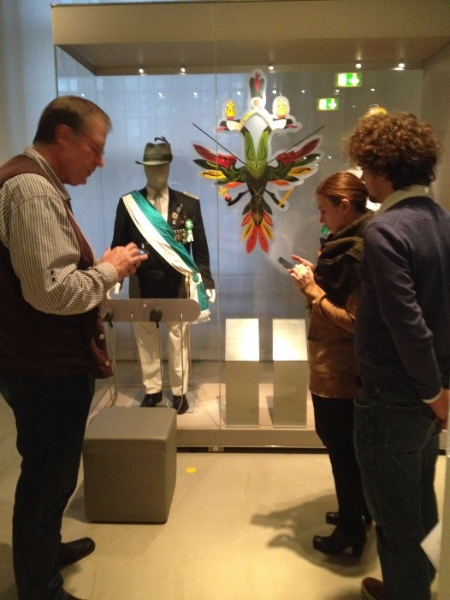 The Institute for Museum Research – Stiftung Preußischer Kulturbesitz (SPK) therefore had to plan the visual implementation of the app within the exhibitions. The question was: How to point to the Blinkster objects for the testing? 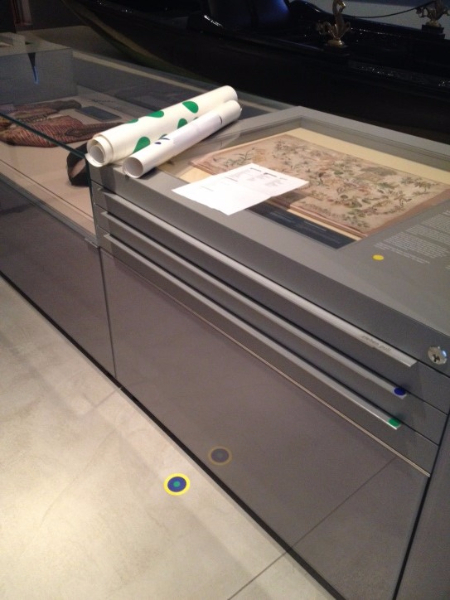 After consultations with the graphic designer and museum director, it was agreed to create Blinkster spots and put them on the museum floor or showcases to point to the objects that are part of the app. 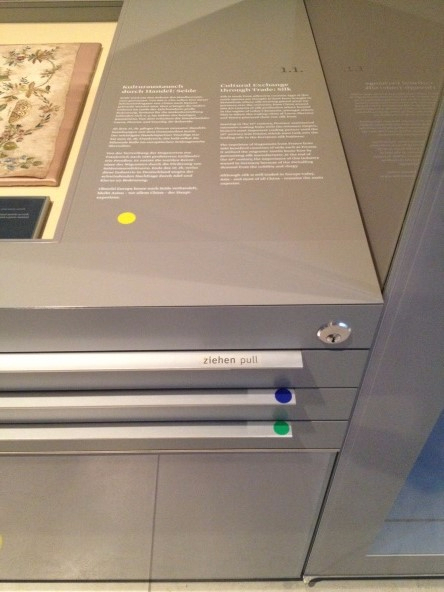 An informational text was written and installed in front of the exhibitions to inform visitors about the evaluation phase. 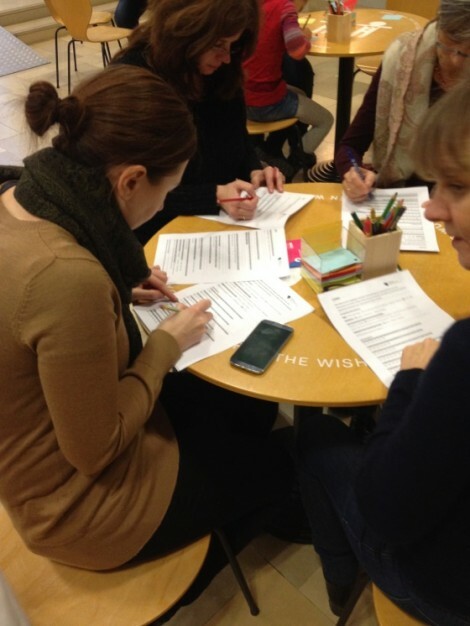 A questionnaire was designed by the museum pilot partners as a basis for an overarching evaluation of all three participating content partners (SPK, LAM and EVK). 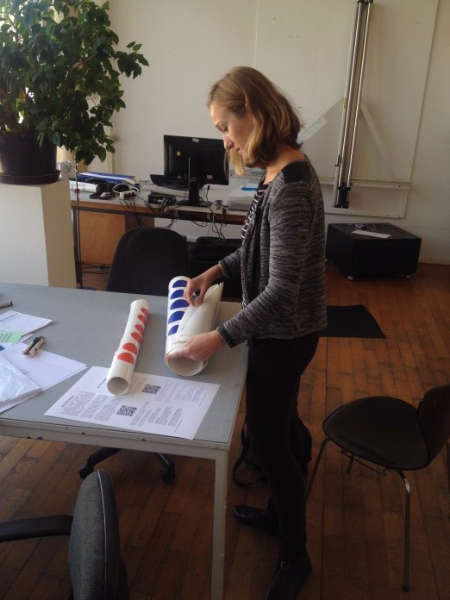 First user testings were conducted with participants from the working group “Multimedia” during the “Berliner Herbsttreffen zur Museumsdokumentation” (Annual Berlin Autumn meeting – museums documentation, 12-14/10/15). and with MEK and IFM staff (curators, museologists, conservators, researchers) on 18/11/15. The participants were very interested in the technology and gave productive input. 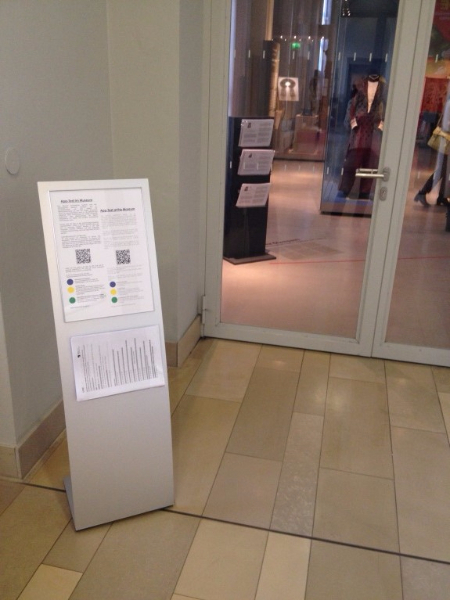 Most users agreed that the information accessed via the app made their knowledge of the exhibition more complete. But of course there is still work to be done. We gained insights about the user’s expectances of the app’s performance, e.g. 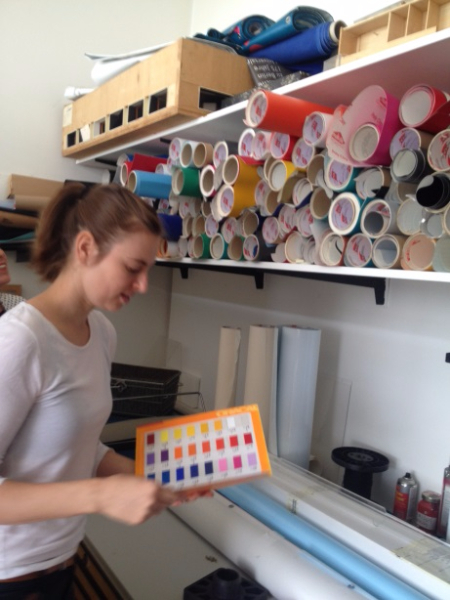 concerning the display of results and the image recognition. The evaluation phase is very valuable for finding and fixing bugs and further improvements. 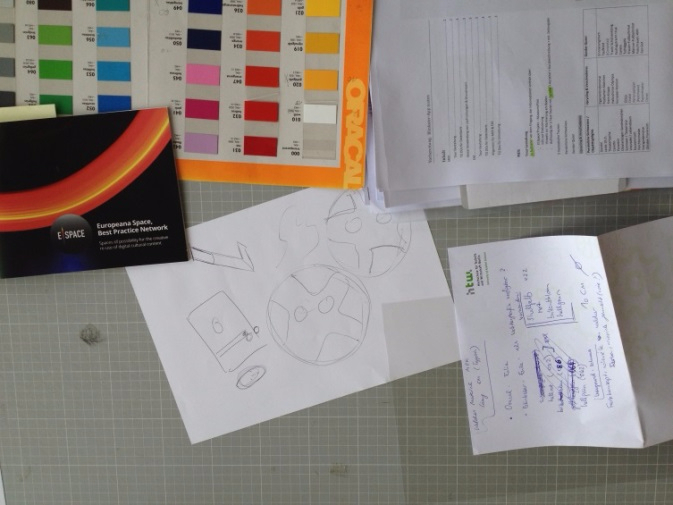 Additional testings in Berlin are planned for December 2015 and the beginning of 2016 with museum professionals and young researchers from the museum and cultural heritage field. 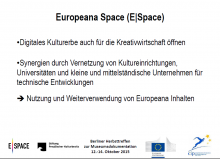 The next possibility to test Blinkster in general will be at the conference “Creative reuse of cultural heritage and contemporary practices: challenges and opportunities in the digital world“ on 11/12/2015 in Tallinn.